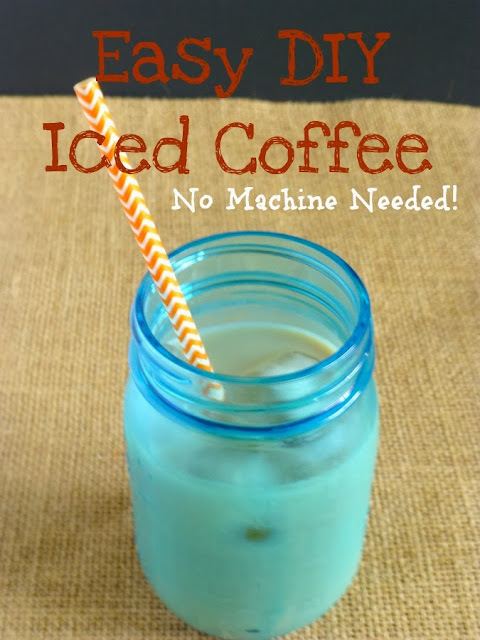 With cold press coffee you can make easy DIY iced coffee drinks and save lots of money! You actually get a coffee concentrate so when you add milk and flavoring you don't loose the coffee taste. Plus its great because you can customize the coffee to your taste. Avoiding dairy - use soy or almond milk, want a fancy iced carmel macchiato - go get the carmel sauce and vanilla and make one! The sky is the limit. I like a strong coffee taste so after trying a few different combinations of coffee grounds and water this is my favorite. I highly recommend using a higher quality coffee grounds - you don't have to use the most expensive (hello - I am on a serious budget!) but don't use the most inexpensive you can find either - the coffee wont taste as good - trust me! Put your ground coffee in one of the mason jars. Fill the rest of jar to the top with cold water and put the lid on it. Gently move the sealed jar back and forth to make sure all of the coffee grounds are wet. Let the jar sit on the counter or in the fridge for 18-24 hours. Filter the coffee through a coffee filter into the other mason jar. The easiest way to do this is to put the coffee filter over the empty mason jar and screw it to the mason jar with the ring. That way you have both hands free. Pour small amounts of coffee through the filter at a time until all of the coffee has been filtered. I recommend doing this in the sink because sometimes a clump of coffee grounds comes out and splashes everywhere... not that it happened to me! Store the concentrate in the fridge. Again, how you use it is going to depend on your personal tastes. 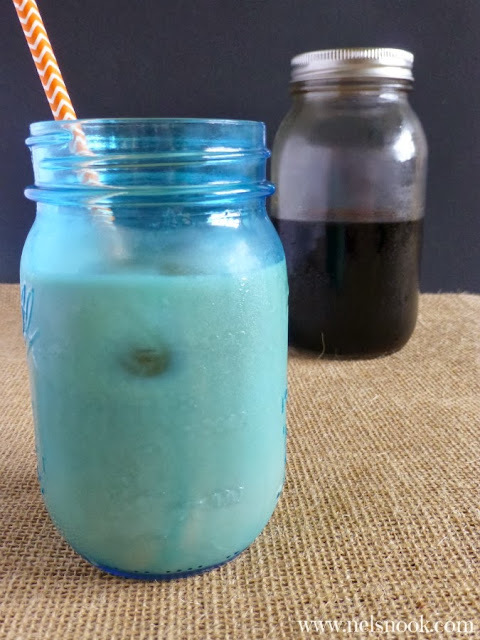 The easiest drink I have made is - pour about 1/2 cup of coffee concentrate into a cup with ice. Add 2-3 tablespoons of your favorite coffee flavoring and 1/4 cup of the milk of your choice. Stir - add more milk, coffee, and/or flavoring depending on what you like! What's your favorite iced coffee drink?? Do you have to make investments lots of money for a excellent coffee machine as well as may a less expensive just one perform equally efficiently in this site. It sounds kind to me; Your tip is fantastic for making ice coffee, but I have experienced tassimo coffee machines and found it best because I am a busy beaver, I do not have enough time, so I liked it a lot.